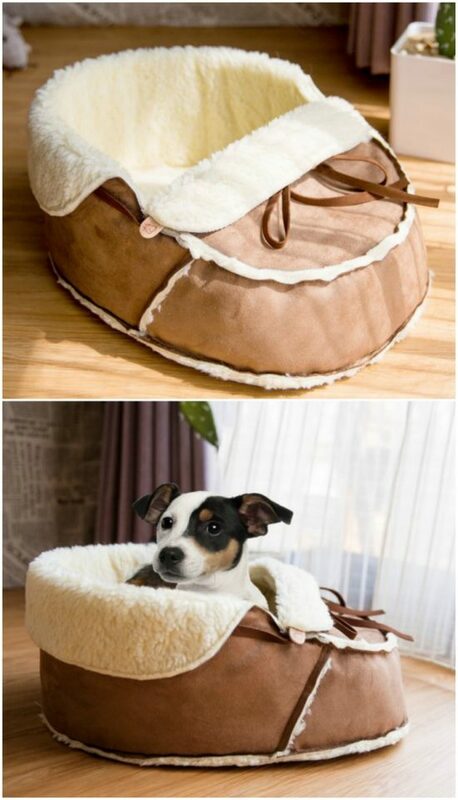 Cats and Dogs love shoes and this Sherpa Moccasin Pet Bed is one of a kind and a best seller to boot. Check out the whole collection now and get yours ordered. This Sherpa Moccasin Cat Bed will keep your furbaby snug as a bug in a rug. 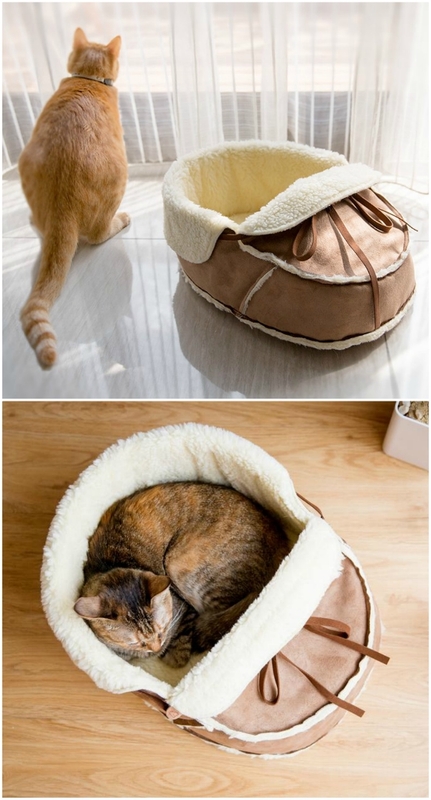 It is a shoe-shaped pet bed that cats and dogs will love. It comes with a wonderfully luxurious faux sherpa insert and your pets will love it. There’s a reason that it’s a best seller for the Creator Napping Jo. Our Community has literally gone nuts for these and no home will be complete without them. There is a whole collection of amazing ideas that you will find in the Etsy Store. We assure you that there’s something for everyone.